THESSALONIKI, Greece (AP) — Senior officials from Greece and neighbor Macedonia said Friday that progress has been made in talks to revise school books in the two countries as part of an effort to end hostility between the two countries. The two Balkan countries are seeking to end decades of tension with an agreement that would see Greece’s neighbor change its name to North Macedonia and both sides takes a series of actions aimed at refraining from hostile actions or rhetoric. Similar school-book initiatives have also recently been launched between Greece and Albania, and between Macedonia and Bulgaria. Progress was reviewed at a meeting Friday in the northern Greek city of Thessaloniki where foreign ministers and Cabinet trade officials from Greece, Macedonia, Bulgaria and Albania attended a one-day meeting. “History should be an opportunity to learn in schools and not be a (mental) prison,” Greek Deputy Foreign Minister George Katrougalos said at the end of the meetings. Facing strong objections from opposition parties in both countries, the name deal would allow Macedonia to join NATO. But it still requires a constitutional revision in Macedonian and ratification by parliament in Greece. The two countries have been at odds over Macedonia’s name since the country declared independence from Yugoslavia in 1991. Greece sees the name as a potential threat to the territory and ancient heritage of its own region of Macedonia. That action includes removing references in school books that could cause offense, and the two countries set up a 14-member joint academic committee to review them. The committee held its first meet in Thessaloniki earlier this month. 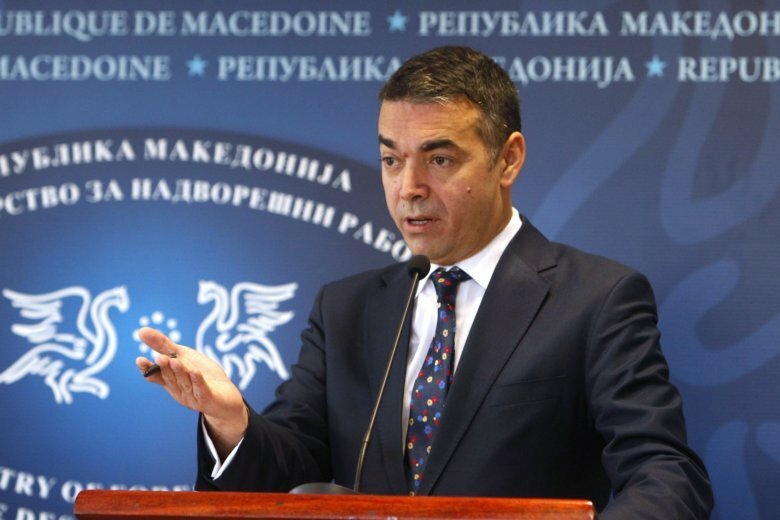 “They had a very constructive meeting … they approved the methodology for their work and I think the tone and atmosphere of the meeting was very encouraging,” Macedonian Foreign Minister Nikola Dimitrov said.